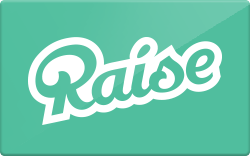 Sell First Alternative Natural Foods Co-op gift cards on the Raise gift card marketplace. First Alternative Natural Foods Co-op gift cards sell the fastest when discounted between 2% and 20%, but the asking price is up to you. When you sell unwanted gift cards, we'll send you cash back to use at other stores. Check to see if your First Alternative Natural Foods Co-op gift card expires, and simply enter the retailer's information below on the Raise Sell Gift Card form.